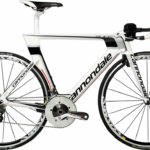 For the construction of the frame, Cannondale use the same Hi-Modulus carbon fiber as found on the Cannondale SuperSix Evo. To offer some comfort, the seat stays use the SAVE technology found on bikes like Cannondale Synapse. 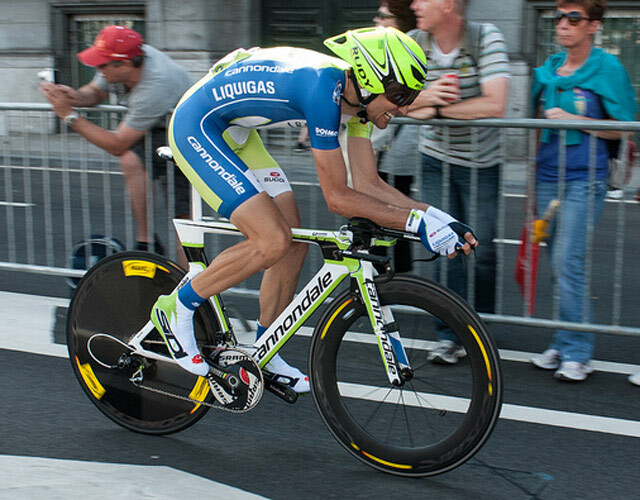 Ivan Basso (Liquigas-Cannondale) riding his Cannondale Slice RS SRAM Red at Tour de France 2012 prologue. 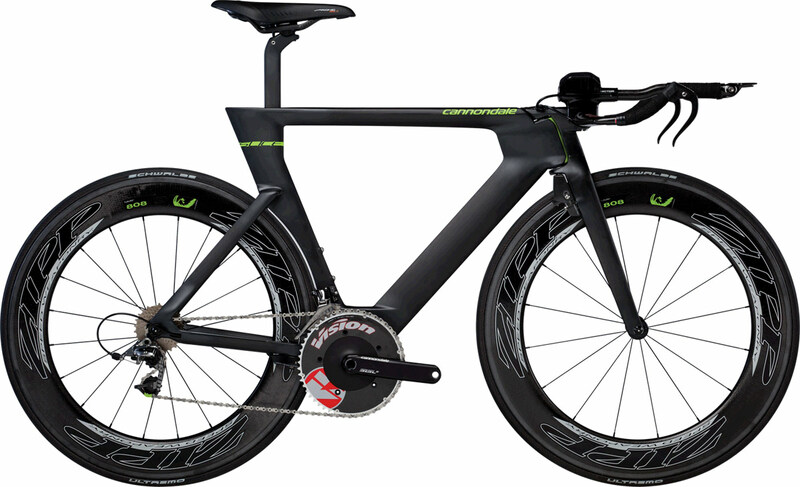 Cannondale’s slogan describing the Slice is “Narrow is Aero”. They tried to meet their aero targets rather than putting aesthetics first. 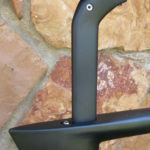 To keep the frame as narrow as possible, Cannondale use an external steerer tube fork. No steerer tube passes through the head tube in the traditional sense, instead bearings are pressed into the top and bottom and secure the fork to the frame. 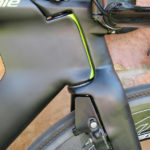 This helps Cannondale to achieve their aim of making the front narrow. 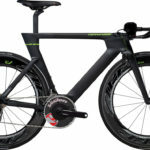 Like the other modern TT bikes, brakes (Cannondale Naero-Tec Integrated mini V-brakes) are tucked out of the airflow behind the bottom bracket and neatly at the rear of the fork. 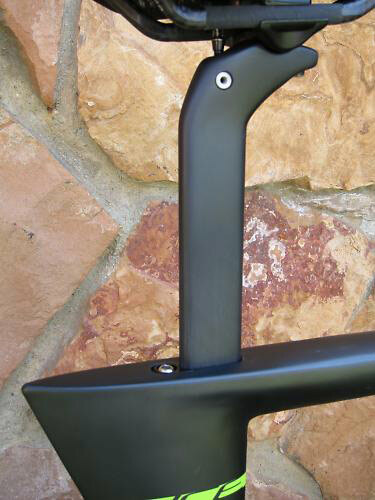 The seat post also has been narrowed as much as the UCI would allow. 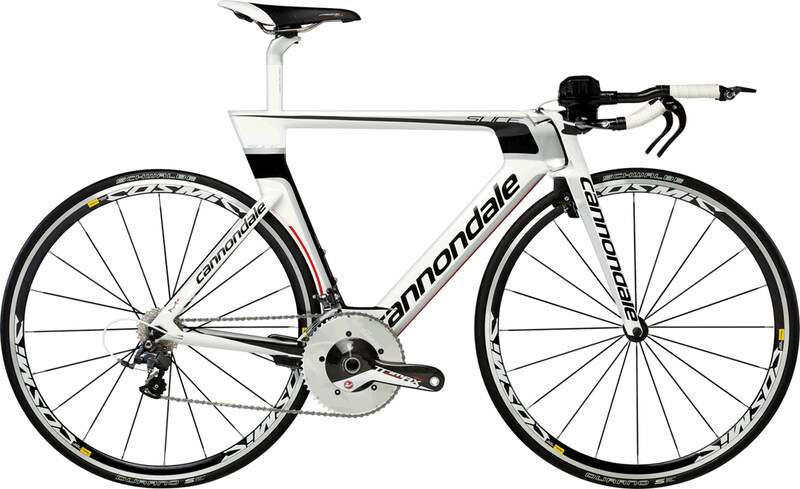 Cannondale Slice RS 2013 is coming with 3 different builds. Cannondale Slice RS 2013 SRAM Red Black Inc.
Cannondale Slice RS 2013 external steerer tube fork. 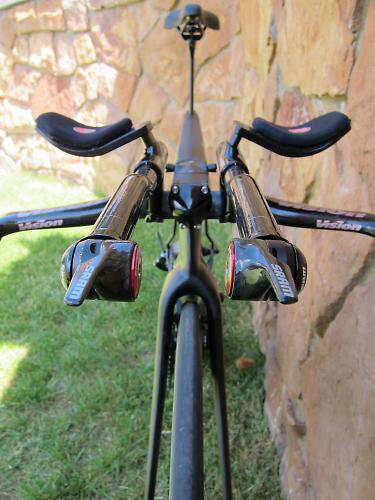 Front brake of Cannondale Slice RS 2013: Cannondale Naero-Tec Integrated Mini-V.